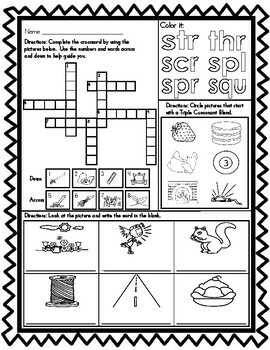 If you are looking for morning work, center work, or homework then this product is for you. 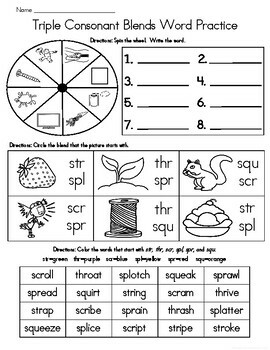 -Students will look at the picture and figure out which consonant blend the word starts with and then circle it. 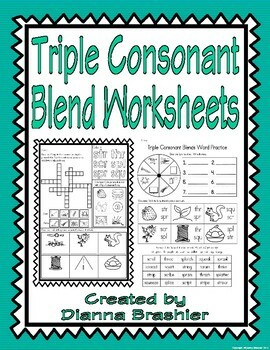 -Students will color the words that start with triple consonant blends using a color code. 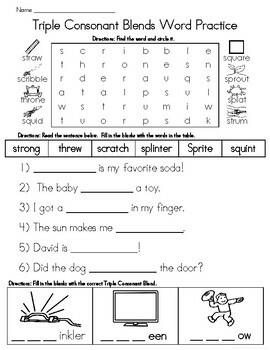 -Cut out pictures and place them in the correct category.